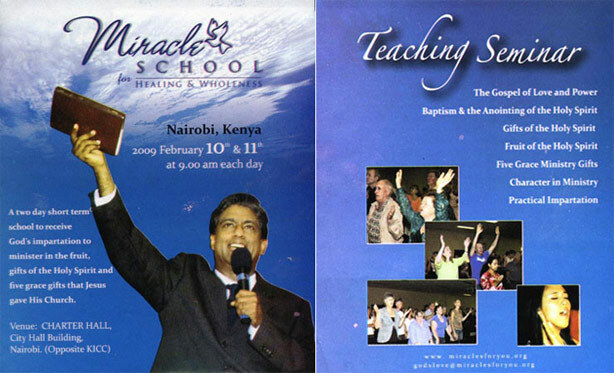 Our great loving God has inspired me to set up short term "Miracle Ministry Impartation School" for His servants through this school. 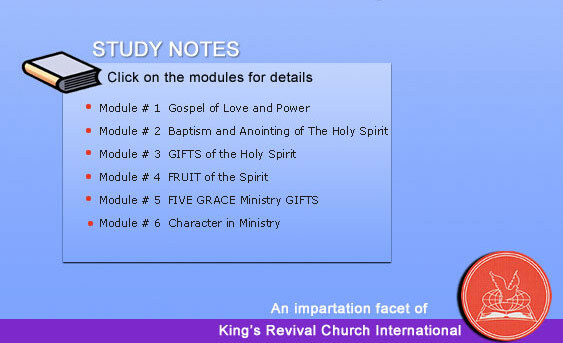 The Holy spirit intends to impart the purity and power of God thus enabling the body of Christ (The Bride) to manifest the Great Love of God with signs, Wonders & Miracle and thus usher in multitudes into the kingdom of God in these last days. To preach, teach and practice the gospel of Love & Power. 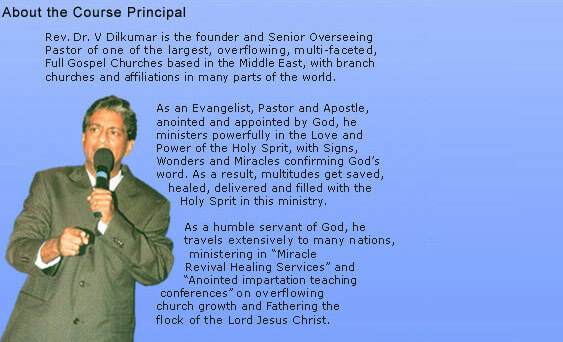 To baptized in the power of the Holy Spirit in Ministry. To minister in the fruit and gifts of Holy Spirit. 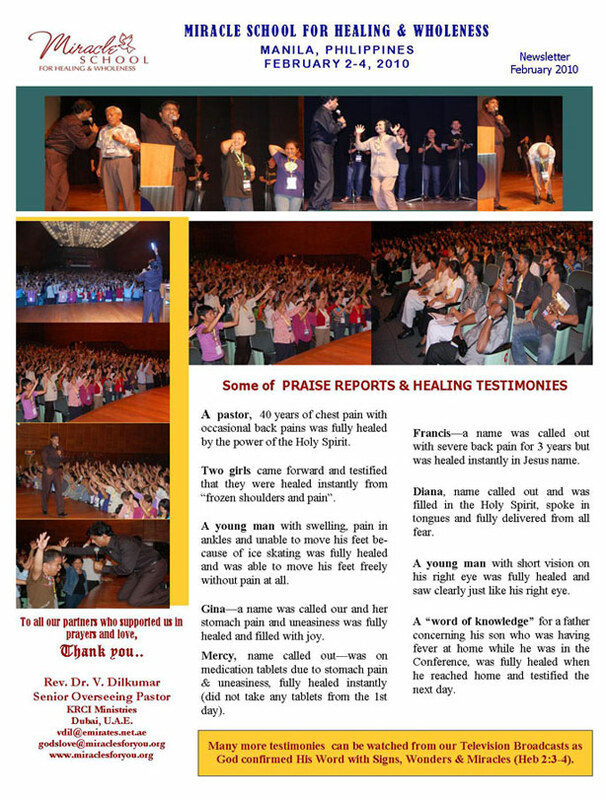 To minister in the anointing of God with signs, wonders miracles confirming God's word. For every believer to become a living witness to the resurrection of our Lord and Savior Jesus Christ. For ministers and leaders to live pure lives, with accountability, responsibilities, commitment and submission to their respective Pastors. please contact us by email or please click here to register. 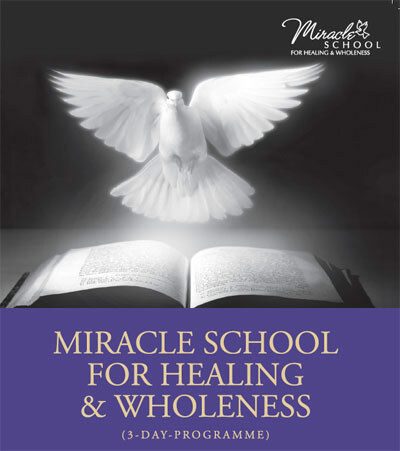 Miracle School for Healing and Wholeness course is open to all those who desire to serve the Lord Jesus Christ, to all Pastors & Ministers, longing to see an "overflowing growth" in their churches. 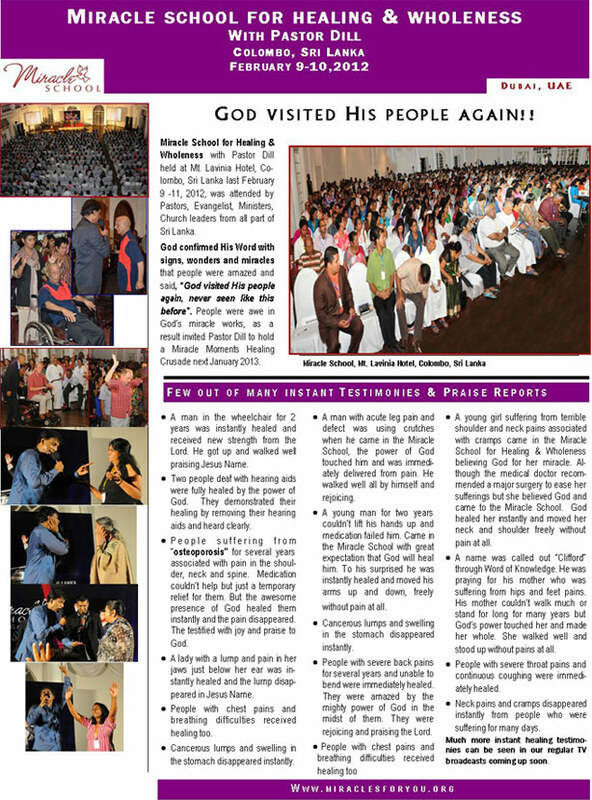 And for all who desire to minister in the powerful anointing of Holy Spirit, and do the miracle that Jesus did. Freely you have received, Freely you give"